Most of the bridges drawn by Leonardo date to the first years after his arrival in Milan in 1482. 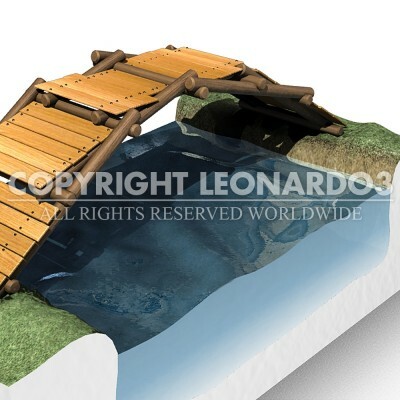 The Self-Supporting Bridge is certainly the most ingenious for its constructive and structural simplicity. 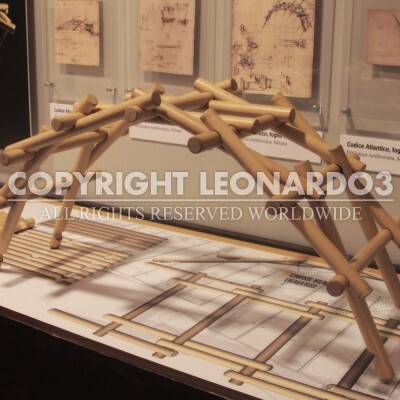 It is in fact a structure made of simple circular-section beams to be assembled without the use of fastenings or interlocking joints. Once assembled, the bridge’s weight must be sufficient to exert the necessary pressure so that the longitudinal beams can block the transversal ones in place by closing like a pair of scissors, thus preventing the structure from collapsing. The greater the pressure on the upper part of the bridge, the greater its stability.